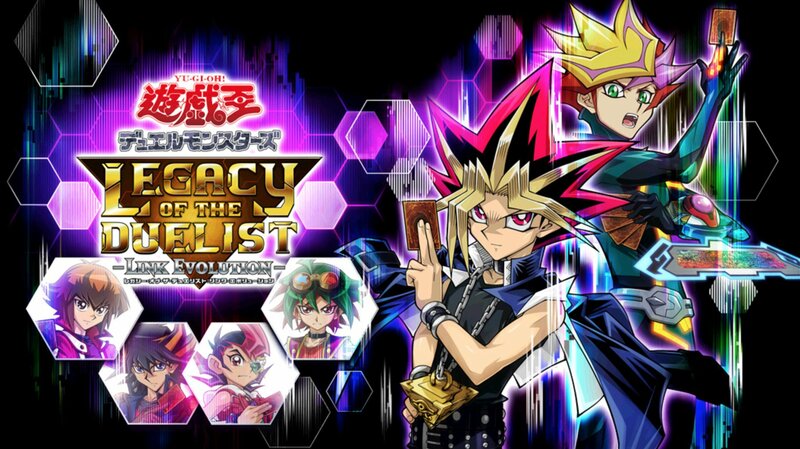 Konami Digital Entertainment has announced that Yu-Gi-Oh! Legacy of the Duelist: Link Evolution will be launching exclusively on Nintendo Switch this summer. The game is based on the official Yu-Gi-Oh! trading card game, and will have players taking on iconic duelists from the series' universe. You'll also be reliving the stories from the original animated series through Yu-Gi-Oh! ARC-V and challenging the newest generation of Duelists from the virtual world of Yu-Gi-Oh! VRAINS. We've got a list of key features for you below. You should be able to get a quick sense of the action in the trailer below, originally released in 2016 for the Steam version of the game. The original game was called Yu-Gi-Oh! Legacy of the Duelist (without the Link Evolution bit), so expect a few minor differences. As mentioned above, the game is set to arrive on Switch this summer. More specific details are yet to be shared. Are you a Yu-Gi-Oh! fan? Will you be keeping an eye on this one? Tell us below. Nice! I have been waiting for a Yu-Gi-Oh game! Just give me a cartridge!!! I haven't been into Yu-gi-oh! for over 10 years. I miiiiiight be interested in this though. It's the only trading card game I ever got into, so I'm interested in reliving that feeling. I'm afraid I'm gonna be clueless though with all the new types of cards they created in later years. I experienced everything up to the end of the Yu-gi-oh! GX series. @Zuljaras doubt it, the game is digital only elswhere too. @TJWorks prepare for hell, not only there are new cards, the whole rule set it upsidedown since few years. I can perfectly play the old DS and PS2 games, but the new games makes me clueless because of the rules. Contrary to my franchise binge whims, the first and only Yu-Gi-Oh I've played is Nightmare Troubadour on DS - but I've played it far into the postgame even with my preference for a game of chance (instead of specific decks, I just pack 80 of the best cards I have - no, I don't forget lower rank mons, you can't really afford to - and try to win with what sequence I'm dealt them in). Quite fun once you get the hang of rules and mechanics. I've yet to play any other stuff, but this one will be on my radar to say the least... and maybe even another entry ahead of the release order queue anyway - the number of cards involved and story arcs from across the franchise history sound damn tempting. @Rayquaza2510 Cuphead was as well but with it coming to Nintendo Switch there is option for physical release. It's still a trading card game with pack to buy and so on...? Or are all the cards coming with the game? @Rayquaza2510 I was afraid of that, heheh. Speaking of turning rules upside down, did anyone play Reshef of Destruction on the GBA? That's probably one of the worst games I've experienced. They radically changed the effects of all the cards, especially removing effects from Monster Cards and made them normal monsters, like Man-Eater Bug. Not only did it confuse everything I knew about Yu-gi-oh!, you had no choice but to grind throughout the entire game to have even a chance of progressing. I never beat the final part because it was the most broken, unfair, unpredictable mess of a gauntlet. I haven't touched Yu-Gi-Oh since the first season was on Kids WB on Saturday mornings. I've heard they don't have card rotations like Magic, Pokemon and Hearthstone though, so I imagine that the game is utter chaos. I used to play yugioh on nds, a lot! Might pick this one up if it’s good. Nice! Not played since Stardust Accelerator on the DS. Haven't touched Yu Gi Oh in years but I was obsessed with it when the TV Show came to the west. I might pick this up for some easy, fun times. @Zuljaras Cuphead got a physical release on Xbox. We can dream but this is Konami we are talking about, a company that destroys franchises for a quick buck nowdays. @rayquaza2510 I played Reshef, fun story, weak gameplay and I finished it because it was so broken and thus predictable. @Rayquaza2510 I constantly forget that Konami holds the licences to amazing franchises but they are too … (insert cruel word here) … to make the best of them and respect the fans. If only you could transfer your real world deck into the game with no trouble, my vampires are hungry! Here's an idea, amiibo ygo cards! YES! I was hoping there was gonna be a switch yu-gi-oh game. I lived the one on th DS. I think it was 5D championship edition? I have no idea, but it was fun. I normally don’t buy anything digitally but I enjoyed the original do much on ps4 that I will definitilly buy this in switch. Now, you kids stop playing cards on motorcycles on my lawn! Yu-Gi-Oh was never one of my favorite anime when I watched them as a pre-teen and teenager (I was always more of a Digimon, Medabots and Beyblade guy), but I do have memories of it. Not the spinoffs. As for the card game, my brother was into it (I had no interest). So, not really for me. It’s good it’s coming for those fans who are into it. so, this was confirmed for the West? WANT WANT WANT WANT WANT!!! Summer is so far away! Actually kind of disappointed this isn't a new game, but as long as it's not as pay to play as duel links is then that would be great buying packs with 3 cards takes forever and is pretty costly to play on mobile. I played this last weekend on the Xbox and some of the newer monsters are quite ridiculous. The XYZ ones were probably the most annoying because they're summoned just by having 2 monsters of the same level and then because the summoned XYZ monster has ranks instead of levels they are immune to a lot of spells and traps. @Coxula no one answered to you because no one has an answer. Truth is, there’s this “physical-support only” crusade that’s pretty ridiculous, nowadays. The most common “reason” given is that having a physical copy of a game means you own it forever. People don’t realize that today what you are actually buying is the LICENCE to play the game, and that with the flick of a switch even physical copies can be rendered useless. @Coxula All the cards come with the game. This isn't one of those massive online TCGs, this is in the vain of the old GBA/DS/PS2 Yugioh titles where it comes with a set amount of cards (almost certainly thousands), and you unlock them all in game, with no new ones added in the future. Well, might get it, but still, hoping one day for them to add all cards available... like, only animate the important ones. I’ve fallen out of Yugioh. Last time I played, synchro summoning was the new hotness. Now I hear things like pendulum, xyz, and link summoning, and it makes me anxious. This is cool! Super Dragon Ball Heroes and Yu Gi Oh on my Nintendo Dreamcast! I have Dreamcast stickers on my Switch. My question wasn't meant this way. I'm one of those people buying retail whenever I can. That is cool; I haven’t played Yu-Gi-Oh in over 12 years or whenever Yu-Gi-Oh! 5D's was current. I remember playing on the DS and Wii. I always wanted to get back into it but felt overwhelm/discouraged when I learned about new cards and improvements like Xyz Summon and Pendulum Summon. Really hoping the new cards include the stuff from Dark Side of Dimensions. I played DS game Yu-Gi-Oh Spirit Caller a lotttt, like more than 800 hrs and still play it to this day with my brother. Hope this will get a physical release. A proper Yu-Gi-Oh game again? Am I dreaming?! I always get hyped for a new yugioh game then slowly realize anything after synchros is too complicated and convoluted. Not because of the new rules but because of the amount of new cards, not knowing what they do really slows you down. @GameOtaku I was thinking the same thing! I LOVE Yu-Gi-Oh! and then the same day I hear about a newly refurbished Battle City Duel Disk with updated visuals and card zones (extra deck, graveyard, etc.) with a bunch of amazing sound effects to be released next year... I'm hyped! I've kept up with Yu-Gi-Oh even in its physical meta (although the day they debuted pendulum summons😭 it almost made me quit) in fact I'm an avid player for digital dueling on Yu-Gi-Oh Duel Links (the awesome mobile app that's free to download) so I'm looking forward to see what this year (and the next) brings for Yu-Gi-Oh and Konami as a whole! @Heavyarms55 at least it gives you customization on a massive competitive scale. Is rather play that then Pokemon where the game doesn't end until you run out of cards... Magic: the gathering is however, a solid contender in the TCG world. Not to mention the newcomers like Vanguard! @Reigestugatensho No thanks. I'd much rather play Pokemon's TCG. I'm not too up to speed on the current metagame in Pokemon, but for the years and years I did play, mill decks were only rarely a thing, and games going until you run out of cards where very uncommon. Though Hearthstone is my number 1. The absolute best digital card game on the market in my book. Only drawback being how poorly optimized the mobile version is. @Heavyarms55 I tried to get into Pokemon (I like the games and anime so much). When I got some hands-on experience with it, it was so fun! The only problem I have is it rendering cards of the past almost useless... My big bro gave me his Pokemon card collection to start me off... I found some great and cool looking cards like Ditto or Gym leader cards I even had a birthday the same day (that was his gift to me). I couldn't wait to try them out! But when I went to my birthday party (I think it was my 12th) I got another amazing gift! Someone got me this Unova Reshiram starter set (it even had a Reshiram figure that I still have to this day). I rushed home in the evening to construct my all-star deck, complete with old and new cards... But then I noticed that all the newest cards had an average health of 110HP and the older ones had an average of about 30-70HP. This blew my mind! I was so confused about it. But I was determined to make my Pokemon themed mark on the world (or at least in junior high). When I encountered other trainers there I was amazed to see that they all used old cards and new cards alike! In the end I had established myself as one of the best in my group with a heated rival! I one my games utilizing my 30HP New with its signature move: Deveolution Beam to revert his powerful cards into base monsters. I had become the leader of my own 'gym' in a way (and I made some great friends😄)... That was until someone new came from a different school... I remember it was like it was yesterday. His name was Cedric and he was also a trainer like me, the only difference? He carried with him only new cards, specifically the newest meta of that time EX cards... He destroyed all of my friends including me with my invincible army of old and new cards (I even had a couple of EX cards myself at the time. My favorite that I acquired and used was an autographed EX Mewtwo). Needless to say even Cedric quickly became a new member to OUR 'gym' (we were essentially the two strongest trainers so we co-owner it). This was the beginning of how Pokemon eventually renders older cards weaker or useless to newer cards. I'll revisit my example earlier with EX cards. We thought they were the strongest until they introduced Mega Evolutions. After that they introduced the legendary EX killer themselves the Breakthrough Pokemon (any project monster that didn't receive a mega evolution basically had 'break' form). Guess what Break mode's signature trademark was... Double damage to EX cards! Now I hear they are introducing Tag-Team cards?! Who knows what those will do? @dougphisig I'm a free-to-play user on Duel Links, and I can tell you that you're pretty much right about the serious RNG type grinding you have to do. Luckily I'm a long time fan of Yu-Gi-Oh so it never really bothered me. I've advanced pretty far and I've only had the game for a year! @Reigestugatensho Rotations keep a game healthy and fresh and make is so developers don't have to micro-manage the game with bans when cards designed years apart introduce some game busting OP combination. But Pokemon has introduced a new format that dates back to Black and White era that exists alongside their current standard format. Rotations also allow the developers to print cards that would be broken if played in concert with older cards. Occasionally bans still prove needed, but far less so. Pokemon in specific has changed a lot over the years, Pokemon themselves have grown far more powerful, on the other hand, trainer cards from base set are absolutely bananas and would totally shatter the game today. Rotations also make it so cards do not need to be constantly reprinted or older, powerful cards, become needed but insanely pricey as a result. @Reigestugatensho Yeah I've spent some money here and there on some packs, and still playing it at the moment been playing off and on since launch. Sounds like monday they are bringing Sartorius to the game from GX. However I'm looking forward to playing this game a bit more even though it's not new, I really enjoyed playing all the GBA/DS/3DS games where the card catalog's are there you just have to duel to get free packs, also there was usually a code system so you could put the card code in to get a specific card you might be missing by paying just a few more points you earned from duels. @Reigestugatensho So what you're suggesting is that card games should release with a set amount of cards and then never add new sets or have rotations? That's how a card game dies. People have played games like Magic, Pokemon, Hearthstone even Yugioh for years and years because the games are constantly evolving and changing. Either via power creep and card bans or set rotations every year or two, the changing nature of the game around a core set of rules is what keeps the game fun and entertaining. Can't wait to body normies online who haven't played the game for like 15+ years. @Heavyarms55 I never said that they shouldn't rotate, I just daid it was annoying. Of course, Rotations are necessary that doesn't mean they aren't annoying. I mean can you imagine having a favorite go-to card, then next month you can't use because it's banned? wouldn't that be annoying? I never said a card game shouldn't rotate! @Reigestugatensho Yeah it can be disappointing, though in my experience with HS and Pokemon in specific, the trade off tends to be, yes, I am losing some cards I like, but some decks I am really sick of facing are also leaving the format too. And sorry, I hate it when people seem to try and put words in my mouth and I did that too you... I apologize. @Heavyarms55 I accept your apology, and I'm beginning to see your point as well! @Reigestugatensho They hinted at another character coming monday, and I had been seeing on reddit about datamining of sartorius. Will be interesting to see if they do any of the anime cards. 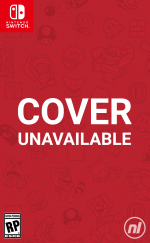 AFAIK - PlayAsia seems to have it listed and most likely is Physical since there is no mention of Digital.